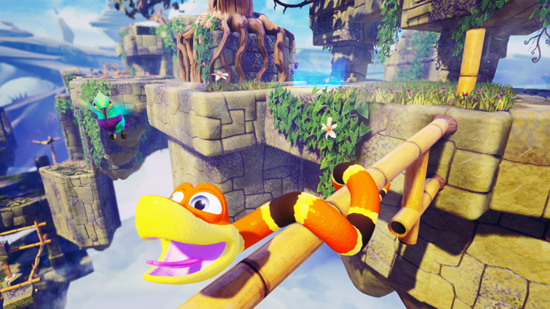 All platform patch for Snake Pass, its slithery physics platformer. On Nintendo Switch, the patch adds time trials and online leaderboards, allowing players to challenge each other to see who is the best snake charmer of them all. On PC, Razer Chroma Keyboard support has been added, along with a 4K UI fix for those that game in 2160p. There are also a host of improvements and fixes for all platforms. Most importantly, Sumo has had a chat with Doodle as he was being a little unreliable with his tail grabs. He has agreed to listen out for Noodle’s whistles a lot more attentively, so players should find him a much more helpful buddy from now on. Full patch notes can be found below. 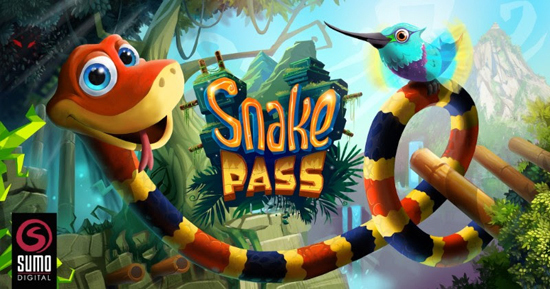 Snake Pass is a retro-inspired platformer, where players slither, curl and climb their way through increasingly challenging worlds filled with intricate obstacles and fiendishly mind-bending challenges. Snake Pass is available now on Nintendo Switch via the Nintendo eShop, Xbox One via the Xbox Games Store, PlayStation 4 via the PlayStation Store and PC via Steam or the Windows Store. Snake Pass supports HDR on PlayStation 4, PlayStation 4 Pro and Xbox One S, for players with an HDR compatible TV. When a mysterious intruder threatens the tranquillity of their home, it’s up to Noodle the Snake and Doodle the Hummingbird to embark on a daring journey to save the day. Controlling this dynamic duo, you must ‘think like a snake’ and slither, curl and climb your way through 15 levels across 4 increasingly challenging themed worlds. 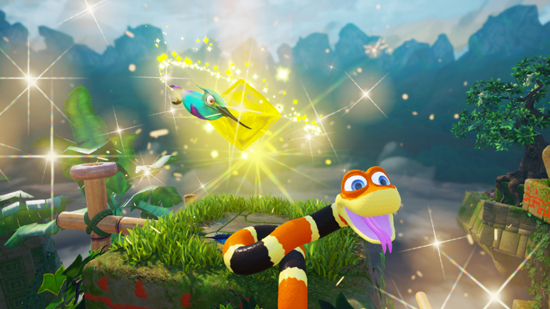 Snake Pass is a unique take on the platforming genre that is intuitive and fun to learn, but will gradually test your snake charming skills to the limit! QUETZALCOATL ACHIEVEMENT: fixed an issue with Quetzalcoatl not triggering correctly for some players. If players have previously reached the requirements, playing a level without dying again should trigger the achievement.